Extra InformationWarning This Conversion May Require The Use Of Wheel Spacers (Sold Seperately). 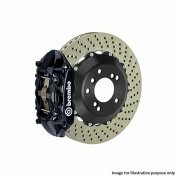 The Brembo GT Big Brake Kits with two piece discs offer levels of technology and performance unrivalled by any other product on the market. 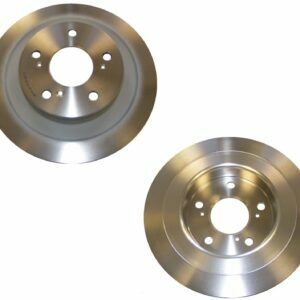 By using larger calipers and two piece floating hat and discs discs, the thermal capacity and brake torque is increased, as well as reducing unsprung and rotating weight. 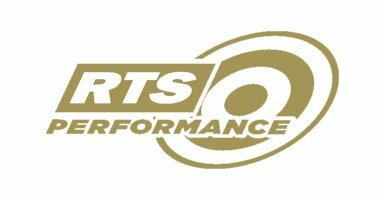 This potent combination offers the extreme in leading edge technology for high performance street and track applications. All necessary fitting hardware is included to insure a seamless installation. Including calipers, billet mounting brackets, high performance brake pads, one piece discs, stainless steel braided brake lines (where applicable). 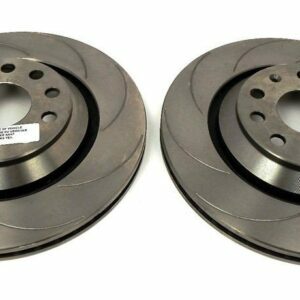 Brembo brake systems are compatible with ABS and traction control systems.